If you’ve followed me for a while you may remember a series I did called The Brunch Edit (here) where I posted recipes and ideas for brunch you could easily make at home, however this got put on hold. Not because I ran out of ideas, but because I wanted to do more to it, but I didn’t know how. 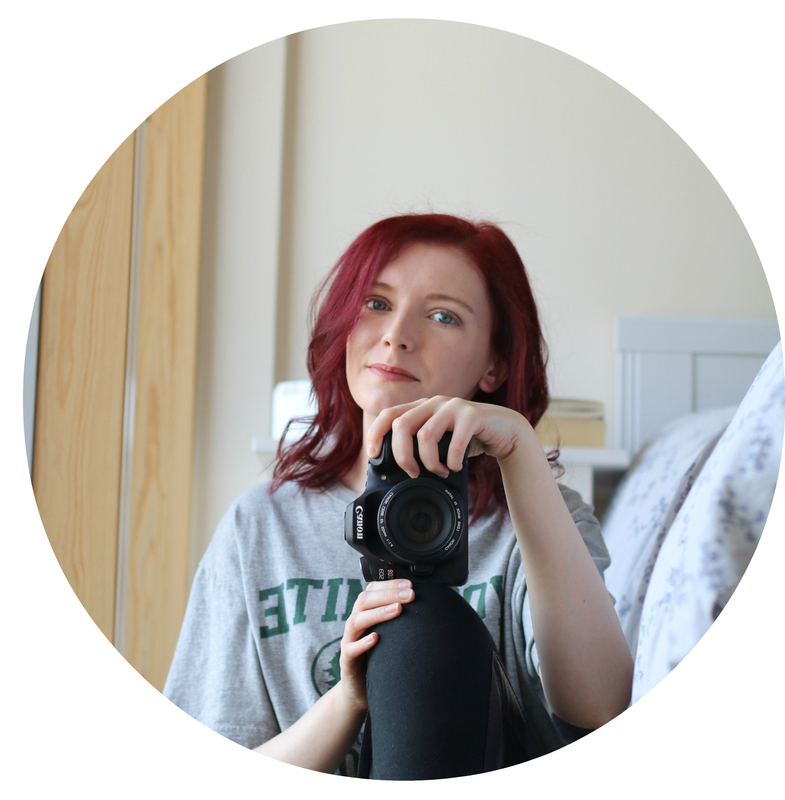 So after a lot of thought I decided to come up with a post every now and again showing you, and giving you ideas, of how you can create your very own brunch club at home. 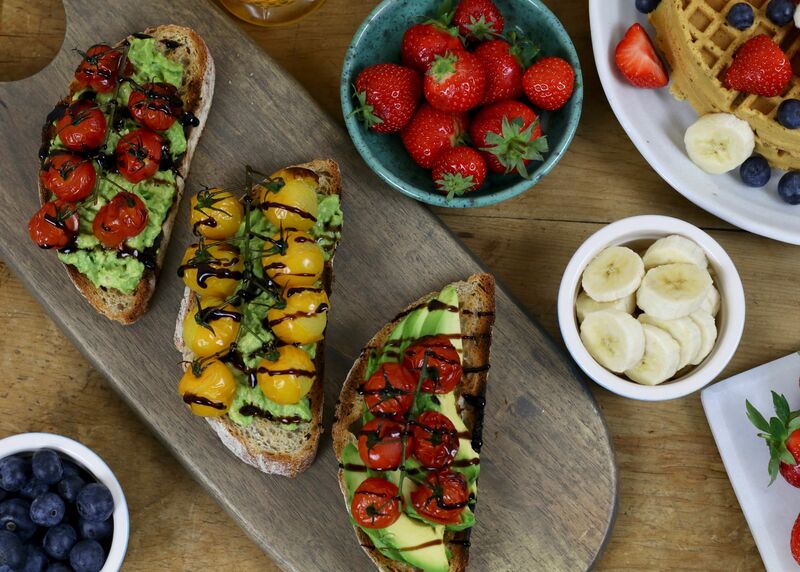 These ‘brunch club’ posts may include recipes, or offer ideas of what you can do to make a gorgeous spread when you host brunch at your home. Optional: pine nuts or pumpkin seeds. 1. Put some baking parchment onto a baking tray, now add the tomatoes and roast them for 10-15 minutes on 180º. 2. Toast the sourdough bread. 3. Use half an avocado per slice of bread. Either mash the avocado up, or slice it, whichever you prefer. 4. Add a very amount of salt & pepper if desired. 5. 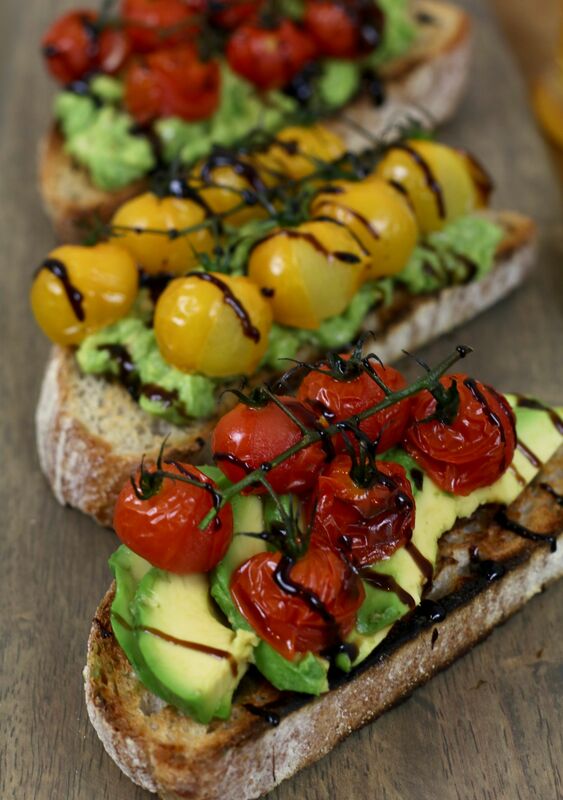 Now add the cooked tomatoes to your avocado toast and drizzle some balsamic glaze over them. If you want to add any pine nuts or pumpkin seeds (lightly toasted in a pan on not). 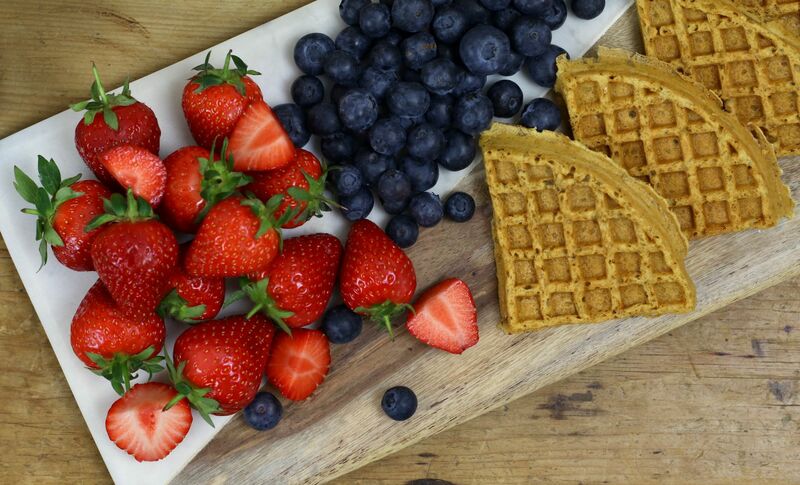 The recipe I used for the waffles is by the amazing Holly from The Little Blog of Vegan – an incredible vegan food blog that will leave you wanting to make everything, literally! If you don’t already follow her on Instagram make sure you do. 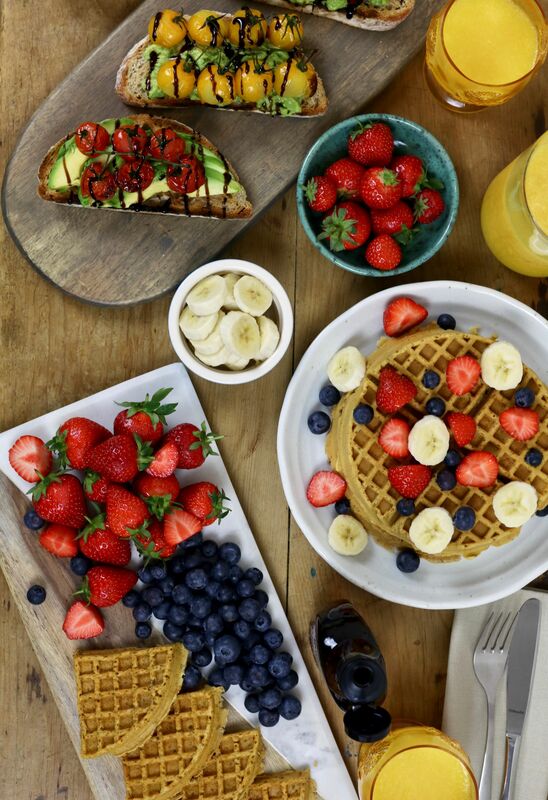 Of course waffles can’t be eaten alone. I mean, they can be, but let’s be honest they’d be even better drizzled with maple syrup and decorated with a handful of fruit – makes it slightly healthy, am I right? 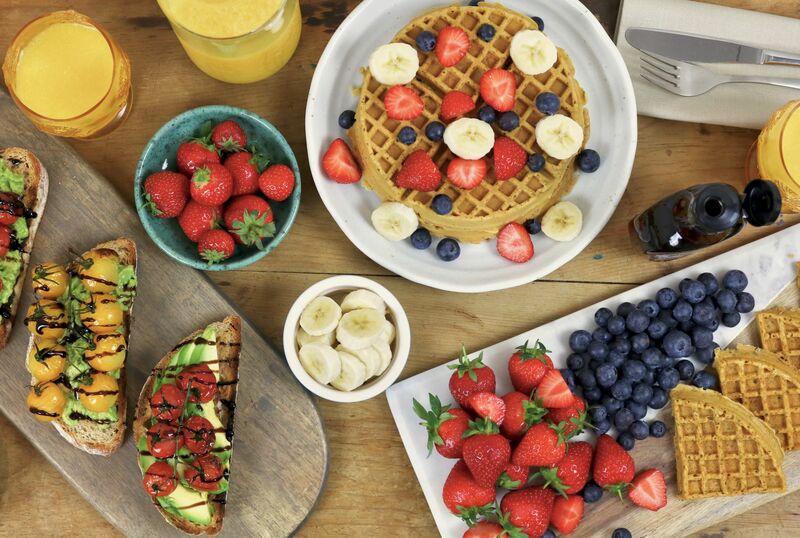 Personally I love pairing bananas, strawberries and blueberries with waffles and pancakes, but I’m sure any fruit of your choice would work. Note: For the waffle recipe: to make vegan buttermilk make sure you leave the dairy free milk and apple cider vinegar for at least 10 minutes. sounds like a good idea. Your pictures are so beautiful !!! This all looks delicious! Stunning photos too.